The Minnesota Timberwolves have made their position clear. 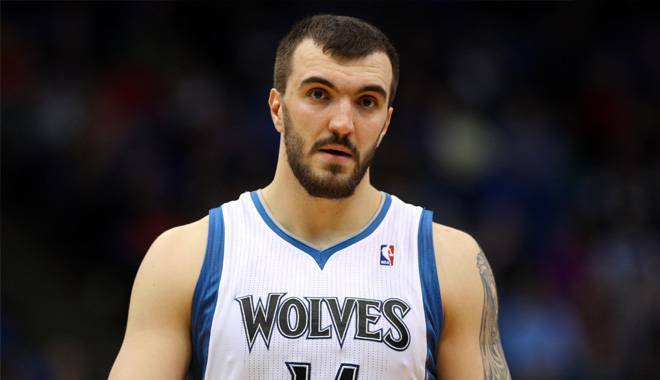 They want restricted free-agent center Nikola Pekovic wearing “Wolves” across his chest for years to come. And they are willing to pay handsomely to make that happen. While the Timberwolves have reportedly slotted Pekovic for a deal in the four-year, $48 million range, the 7-footer’s agent, Jeff Schwartz, is reportedly looking for something in the $15 million a year range,according to 1500 ESPN Twin Cities. It’s a delicate balance for Saunders, crafting a roster capable of competing for a playoff spot now while also maintaining flexibility and fiscal responsibility for the future. It’s a balance that wasn’t managed well by his predecessor, David Kahn. In fact, these sorts of off season hiccups were supposed to be history in Minneapolis, along with Kahn. Outbidding themselves for Pekovic wouldn't make a ton of sense at this juncture. But any damage done to the relationship with Schwartz right now could have lasting ramifications down the road, potentially producing consequences the Timberwolves absolutely cannot afford if they are serious about turning their playoff fortunes around. TheSportMatrix • We Live For Sport: FREE AGENCY: Still no deal for Pekovic?